Toño sets off on a long journey back to his hometown in the south of Bolivia. Many years have passed since he was kicked out of his home, where things have now changed with his family. Mario, his adopted father, suffers from a crippling disease and cannot speak. Ana, with whom he shared his childhood and who was also his first love, is now a single mother with a 9-year-old boy. With silent characters, recurring dreams, long walks through the countryside, childhood friends with almost nothing in common, Los viejos is a film about absence and loneliness, banishment and abrupt separations, and, above all, it is a story about the attempt to reconcile with the past. Los viejos enjoyed its world premiere at Busan International Film Festival and continues on a successful festival run. 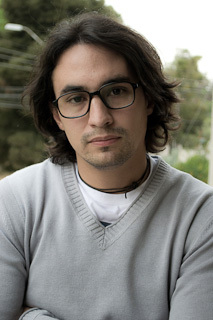 Martín Boulocq was born in 1980 in Cochabamba, Bolivia. He dropped out of his Philosophy and Social Communication studies in order to write and direct his first feature Lo más bonito y mis mejores años, which garnered awards at the Guadalajara, Havana, and Valdivia film festivals. He later founded the company CQ Films.